This interactive map is on the homepage of the TPU Pure Research Portal. The global scientific community benefits from having a diverse range of perspectives. As such, Russia is working to make its research more visible. In the same way, science in Russia benefits from a diverse range of global collaborators. The willingness of Russian universities to expand these collaborations and foster the excellence of Russian research is supported by the Russian Ministry of Education and Science. 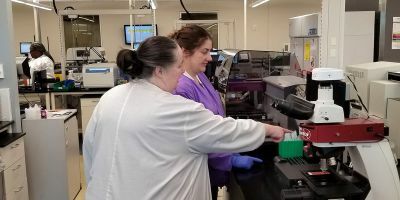 In this article, two research executives at Tomsk Polytechnic University (TPU) – a leading engineering university in Russia – write about how they are making their university’s research more visible while attracting global collaborators. 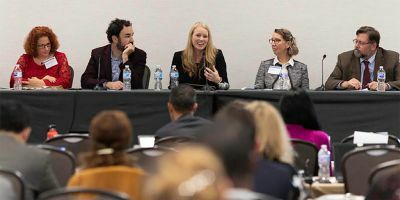 It’s a global trend in modern academia, and it’s gaining momentum: universities striving to be the best and attract the most talented students and staff. American and British universities, regarded as the best for centuries, found themselves in the situation where some institutions that could not even dream of having Harvard, Oxford or MIT fame 20 years ago started to compete at a very high level. And now, BRICS and European universities, including the best Russian and Asian universities, have entered the competition. The willingness of Russian universities to expand collaborations worldwide and foster the excellence of Russian research has been supported by the Russian Ministry of Education and Science. The Russian government has launched the 5-100 Russian Academic Excellence Project to encourage the best Russian universities to enter the group of world leaders in education. Only five universities are expected to reach the top 100, so the task is rather challenging. Russian research has been closed for international scientific community for quite a long time. What strategies do Russian universities need to take to be among the best? The main strategy is to expand international collaborations and make their scholarly output more visible. 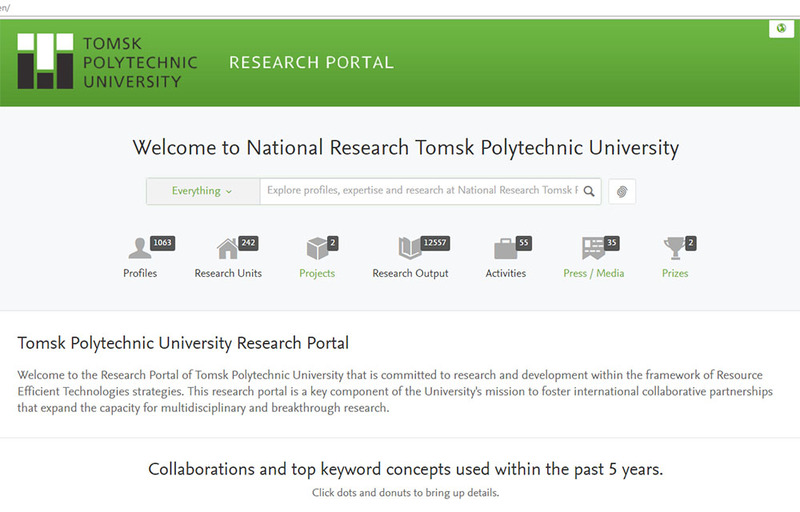 At Tomsk Polytechnic University (TPU) using the Pure Research Portal, developed by Elsevier, as one of the tools to implement these strategies. Our experience can be helpful for the universities of western Europe and the BRICS countries (Brazil, Russia, India, China and South Africa) that have the same challenges and a similar economic and historical background. TPU research management chose Pure as one of the key instruments to enhance visibility of our university’s research. What influenced the decision and why Pure? Elsevier has been a TPU partner since 2011. TPU management and researchers have been using Scopus and SciVal to set trends in research and keep track of TPU output in comparison with other institutions both locally and internationally. 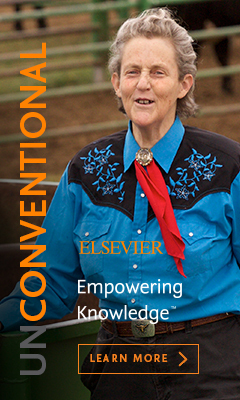 Elsevier proposed a trendy and modern interface that meets the requirements of attractive international research portals. Using Pure means being a part of comprehensive Pure community. Pure users are universities and institutions worldwide, especially in the United States and Europe. All Pure experts are gathered in the unified search system, which gives us an opportunity to find research partners. In addition, the portal facilitates the search for external experts. Pure experts can be potential reviewers of the manuscripts submitted to high-impact journals or partners TPU staff can arrange to meet at international scientific events to start and develop collaborations. The Pure portal is well indexed in major search engines such as Google and Yandex. TPU partners, especially those who don’t have access to Scopus, can’t find the unified portal of TPU research output. TPU management has to get research analytics that cannot be taken from Scopus and SciVal. For example, for the total 5-year citations of the department, only affiliated papers are needed, not those by authors outside our university. 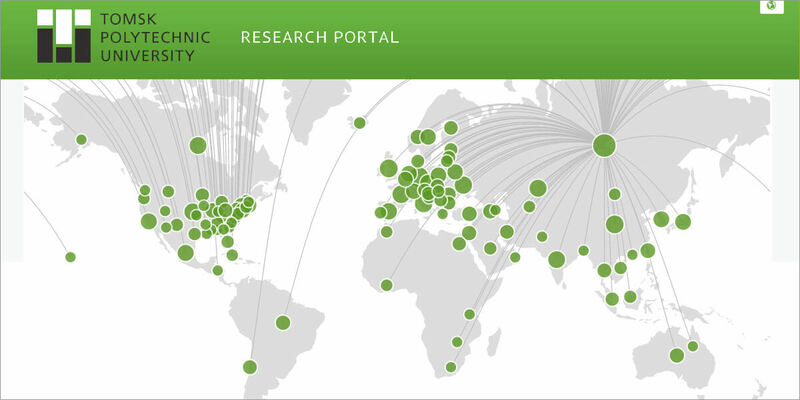 The Pure Research Portal is a comprehensive database of scholarly output, activities, projects and collaborations. 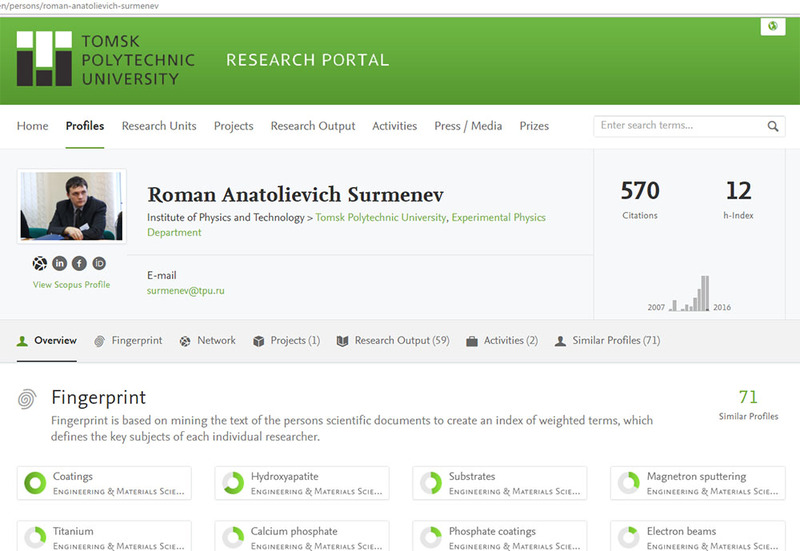 It displays 1,100 profiles of TPU academic and research staff. The department responsible for PURE implementation at TPU is Research Intelligence and Publications, a part of Science and Innovation Office. We launched a PR campaign to promote the portal worldwide. Since its launch in September 2015, the TPU PURE Research Portal has been visited about 17,000 times from Russia and about 17,000 globally from international universities and research centers in countries including Germany, the UK, Japan and China. The research areas of the greatest international interest are green technology for pharmaceuticals, synthetic chemistry techniques, biomaterials and composite materials, physics of plasma, and radiation of relativistic electrons in periodic structure. TPU hosts more than 30 international conferences annually. Research management supports this trend to bring large conferences to TPU that are organized by well-known professional or scientific associations, such as IEEE, NDT and chemical societies. In September, we will host the TESOL Russia Innovative Convention with the theme “Teaching & Learning English Bridge Science and Innovation Across the World,” supported by Elsevier. The main focus will be research communication on a global scale. To manage the business trips for the largest global research events. Going to international conferences, symposia and fora is a considerable and inherent contribution to the research career. Usually, this is a unique chance to learn about current scientific trends, which R&Ds are cutting edge, methods to give successful presentations, the results required from the international research community, and the best partners to foster your research. Having key speakers and presenters at the largest research events enhances the reputation of the university. The Hirsh Rocket IT solution helps to form the delegations in an automated way. Research managers have devised the criteria to filter the events worth visiting as well as the criteria of researchers and staff who would be the most successful and effective for TPU. To manage publication support system. 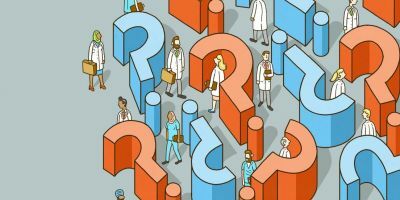 The main aim of the system is to eliminate fear of the early career authors, to teach how to find reviewers, communicate with them and don’t be afraid of rejections. The main focus is attached to historically not well cited research areas for TPU such as Power Engineering, Geology, Computer Sciences, Social Sciences e.t.c. Here the researchers can get personal consulting service about publishing process first: how to find a better journal, what documents are needed in addition to the manuscript, how to communicate with reviewers etc. Then an author submits a paper that goes to a TPU internal per-review where the manuscript is assessed in terms of publishability. If it meets the requirements, the manuscript can be proofread and copyedited. 189 papers have been submitted to Hirsh Rocket for 2 years, 50 papers by early career authors have already been published or in press. This is a monthly digest of the scholarly output of TPU researchers, papers published in the high-impact journals, citations, etc. The digest is published in the TPU newsroom, distributed to the university partners and promoted in the media including social networks. It is designed to create a publication-friendly environment that motivates research teams to compete in terms of research output. 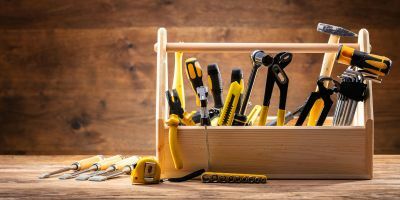 When you see that your colleagues are the authors of a paper published in Science or Nature, it can make you eager to achieve even better results. This has been implemented at TPU by Science and Innovation Office in partnership with University Library. It covers master-classes, seminars, round tables and interviews devoted to scholarly communication, academic writing for publications and research networking and collaboration. The speakers are experienced authors, highly-cited scientists and early career researchers from different Education and Research Institutions across the globe who are successful in scholarly communication as well as representatives of well-known publishing houses, such as Elsevier. 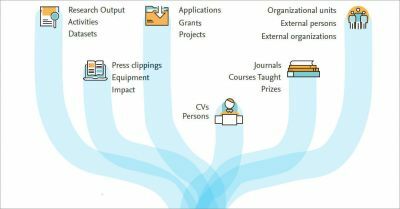 All these initiatives create a publication-friendly environment where scholarly output is growing. This trend is displayed on the TPU PURE Research Portal, which has become an important tool that helps our university be more visible. To quote the late Stephen Covey, the renowned American author and businessman: “Your speed does not matter, forward is forward.” We do believe this is true for Tomsk Polytechnic University. 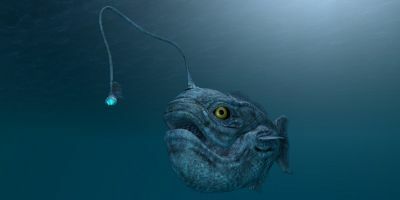 Unconventional thinkers bring new perspectives to research and science, seeing key elements that are often overlooked. That’s why we support diversity of mind at Elsevier, employing people with different thinking styles to develop our tools and technologies – and to enable people of diverse abilities, cultures and nationalities to access our research and contribute to the advancement of science. By championing the unconventional, we empower people to go beyond the obvious, inspiring new opportunities for science and society. For more stories about people and projects empowered by knowledge, we invite you to visit Empowering Knowledge. Dr. Yulia Falkovich is head of the Research Intelligence and Publications Department, Science and Innovation Office, National Research Tomsk Polytechnic University (TPU). In this role, she is responsible for research visibility of TPU, research output, and building strategies to allocate funds on research as well as initiating and developing programs to boost scholarly communications and publishing papers in high-impact journals since the inception of the Department in 2014. As one of the top 15 universities in Russia, TPU has been using Elsevier’s Research Intelligence Tools since 2013 (Scopus, SciVal, Pure). 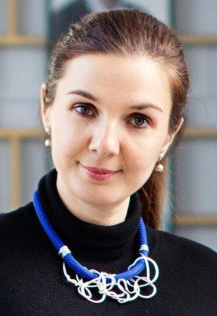 Dr. Falkovich is the initiator of Pure implementation at TPU, and she is responsible for data management and promotion of the portal. She has worked for three years in an international research project for the management and organization of research networks between TPU scientists and researchers from partner universities. She is a co-author of more than 30 research publications with foreign scientists and managers as well as a project leader in internationalization of research and innovation activities of TPU scientists. The projects have been funded by institutional, governmental and international grants. As the Vice Rector for Science and Innovation Deputy for National Research Tomsk Polytechnic University (TPU), Dr. Roman Ostvald is responsible for the academic reputation of Tomsk Polytechnic University, research mobility of university programs, research output, grant funding and research collaborations across the globe as well as master’s, PhD and postdoctoral fellowship programs. 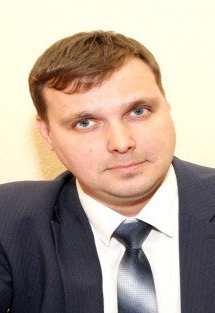 He is a member of the university team to develop strategy in science and academic reputation. 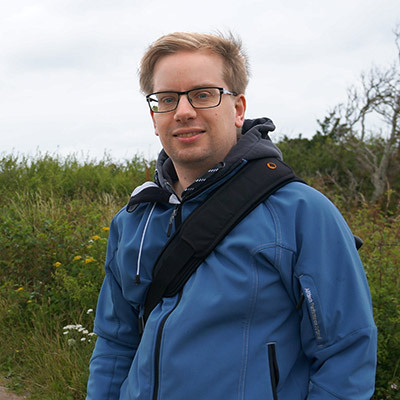 Dr. Ostvald has background in chemistry and engineering, and his main area of expertise is fluorine chemistry. 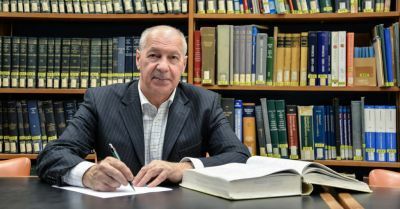 He is a co-author of more than 100 research papers with foreign scientists published in high-impact journals, and an experienced researcher who has worked abroad and has gone on several internships. He is currently supervising a team of two associate professors, a senior researcher, two PhD students and five MSc students.